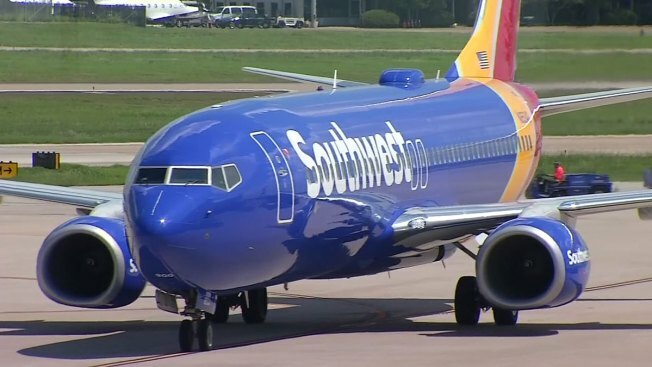 The Federal Aviation Administration says it's not ready to close a yearlong safety investigation into Southwest Airlines. The investigation is centered around the weight of baggage loaded onto Southwest's Boeing 737 aircraft. The FAA confirmed to NBC 5 the investigation, which was first published in the Wall Street Journal, was launched in February 2018 to take a look at weight and balance performance on Southwest's flights. The paper reported that the FAA found "systemic and significant mistakes with employee calculations and luggage loading practices." Errors in weight calculations can affect a pilot's takeoff and landing calculations. The FAA said it has "directed the development of a comprehensive solution to the methods and processes used by Southwest Airlines to determine this performance data," adding that it "will not close its investigation until it is satisfied that Southwest's corrective actions are consistent and sustained." Dallas-based Southwest Airlines is downplaying the investigation and told NBC 5 Monday there is no enforcement action against the airline regarding weight and balance and that the investigation is "a common mechanism for the FAA to document and share safety interests or concerns with an airline." Southwest said it has implemented controls and enhanced procedures to address the concerns and has shared those with the FAA. The airline believes that the action has resolved the issues and is requesting the investigation be closed.